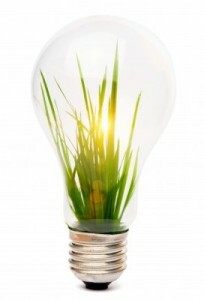 A lot of people think that “going green” and “paperless office” are some kind of passing fad. Small companies are more skeptical about these concepts. However, these are much more than concepts. It is as important to create a paper-free environment, as it is to use electricity-saving gadgets. Just as electricity gadgets help you cut your bill, paperless office helps you save a lot of overhead costs. Don’t believe it? Read on to get a fair idea about 10 benefits of having a zero-paper office. 1) According to the statistics from the Environmental Protection Agency, a typical employee uses 10,000 sheets of paper annually. Now if you multiply the total number of paper sheets with the average cost of paper, you will realize that your employee spends $1000 on paper alone. Even if you are a small business firm with 50 employees, you spend $50,000 every year on paper. Don’t forget the fact that out of all the stationary and office supplies, companies spend the most on paper. 2) And paper is not the only cost you bear; you also have to bear costs such as printing ink, storage space for paper files, paper shredder, printer maintenance and other such overhead expenses. If you calculate all these expenses, you get returns on your investment in paperless office within a year. 3) The savings don’t end there. You also save shipping costs and other transfer expenses by adopting a paperless office. Note: Before we move on to other benefits of paperless office, let’s briefly get an idea on how to create it. The first step towards it is getting document management software. This can help you to create digitized files and convert to a completely clutter-free office. You can store, manage and secure your documents without occupying extra storage space, making you more productive and efficient, but more on this later. 4) An employee spends considerable time in filing paper documents and retrieving them when needed. Our document management software, Docsvault, takes out the need of manually filing paper documents and replaces it with a simple auto-filing method. In addition, the repository comes with advanced search functions, which means all your documents are instantly searchable. Whether you remember the date you created the file, the name of the author or some text in the document, you can search the documents within seconds. This can improve the productivity of your employees by almost double as the get access to information quickly instead on poring through large files and folders. 5) You don’t have to worry about losing another document again. You can trust our document management software for safekeeping all your documents. 6) You don’t have to worry about data leakage as the safe repository of Docsvault acts as an electronic vault. Our document management software comes with powerful security features that prevent unauthorized export, data theft and leakage. 7) You can create a backup of all your documents and keep it in an external location or a bank safe and your data will be safe from natural calamities such as fire, flood and earthquakes. 8) Files created digitally are easier to create, edit, share and manage than paper documents, making your employees work smarter, not harder. 9) Small businesses have more pressure of cost cutting than large companies and every dime matters to them. Our software provides enormous cost and labor savings. 10) And last but not the least, going green does make you feel good about yourself.